While we are best known for our steak and cheese hoagie, we also serve reubens, gyros, salads, cold subs and a wide selection of fried foods. Try one of our own creations The Biggie, The Stinger or the Ham Stinger. 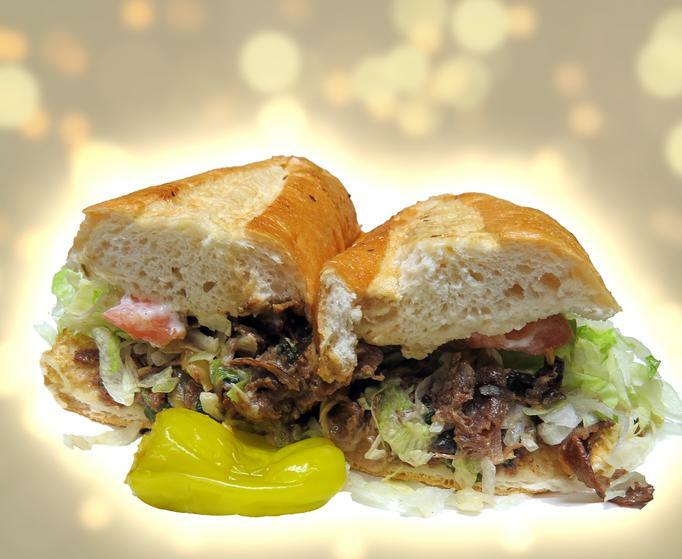 Or try one of the locals favorites: The Green Chili Philly, Hot Roast Beef & Cheddar or the Turkey, Bacon, Ranch Pita. See descriptions on our menu page. Make sure to make it a combo so you can enjoy our delicious fresh, hand-cut French fries.